Practically and creatively led, our Level 8 Top-Up degree in Film and Television Production is supported by academic and practical subjects. An intensive industry led programme, the course is taught by industry professionals and is supported by guest lectures from leaders from the various fields within Irish film and television. 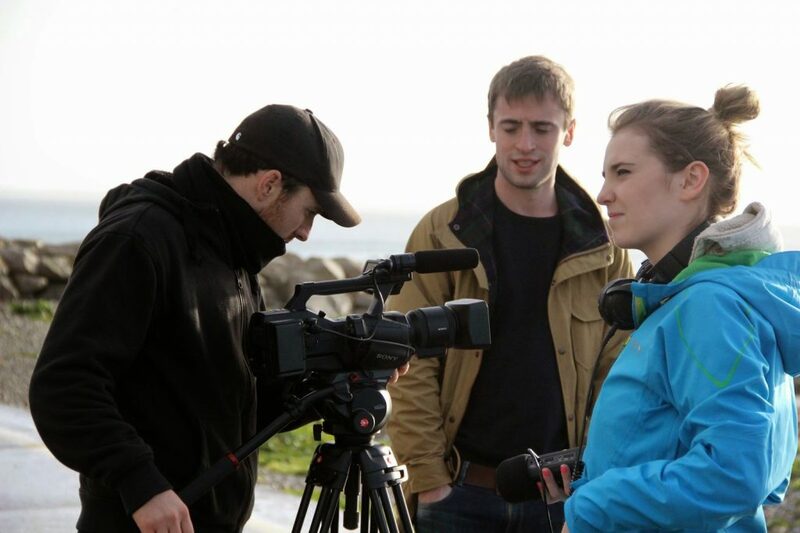 Students benefit from the expertise of film directors, producers, professional crew in the areas of camera and sound, and in the areas of new media, distribution, screenwriting and script editing, as well as representatives form Film & TV Irish industry bodies and organisations. Students undertake a series of practically led modules. In addition to the Documentary Production module in Semester 2, students will undertake a year long production module which tasks students with developing a screenplay and leading the production for a short film in a creative, collaborative and professional way which leads to the end of year CDCFE Degree Screening at the Lighthouse Theatre. Other modules cover areas such as the opportunity, entrepreneurship and employment in the creative industries in Ireland and abroad, collaborative skills in film and television production as well as academic research project which looks into specialist topics of interest proposed by each student. The course is delivered over three days a week through 12 hours of lectures, workshops and tutorials. Access to editing and production facilities outside those hours will be provided for students to carry out project work on their own. This is an intense and self-directed programme, where the students are encouraged to produce quality work that can compete at major festivals. Director and producer, Leticia Agudo (Forty Foot; City Wild; Land of Amber); director Frank Berry (Ballymun Lullaby; I Used to Live Here); head of TV production at CDCFE Kevin White. Other tutors: former Irish Film Institute’s International and Festival Coordinator Aoife Coughlan (2013-14); Producer Ailish McElmeel (Deadpan Pictures and formerly Grand Pictures). The course has also benefited from the involvement of industry practitioners who’ve given the students master classes and workshops: Lenny Abrahamson, Stephen Rea, producer Conor Barry (Savage, Love Eternal), producer Marie Caffrey (Cuckoo), Patrick O’Neill of Wildcard Distribution, production designer Eleanor Wood (Sanctuary, The Other Side of Sleep), sound recordist and mixer Daniel Birch (Vikings, The Summit, In America), Catherine Tiernan of Screen Producers Ireland, James Kelly of Feenish Productions, Sound recordist and editor Michael Lemass (King of the Travellers; Punch Drunk Love), Post production expert Kevin Cunnane (Setanta), script editor & development executive Eilish Kent (RTÉ, BBC, IFB). Writers Lauren Mackenzie (Red Rock, Pure Mule, Bachelors Walk) and Damien Owens (Trivia); documentary director Tom Burke (Areaman Productions); representatives from The Irish Film Board, The Arts Council, and Filmbase. BA (Honours) from the University of Wolverhampton, Level 8 on the NFQ. Your work will be assessed based on portfolio and interview. All applicants must provide their latest qualification results and a link to an online portfolio of work prior to their interview. Work in various areas of each industry. Previous graduates have gained work and internships in the areas of TV Production, online distribution, and post-production. With the Level 8 BA Honours qualification, students can pursue postgraduate study in any third-level institution in Ireland or abroad. The cost of the programme will be €3,500 Euro, to be paid in installments. – Provisional offers made, pending BTEC results, within one week of interview. · End of May: HND results collated for current students. Offers confirmed based on results, application and interview. · July, if places are still available, new offers may be made in order of suitability.